This is a Mountain Rose Herbs You Tube Video that teaches you how to make herbal infused oils that you can use for herbal salve, lip balm recipes, or by itself as an herb oil. In this video Mountain Rose Herbs makes calendula oil by using calendula with sweet almond oil and comfrey oil by infusing comfrey in olive oil. You can use bulk herbs from Mountain Rose Herbs for these remedies. Notes- This particular oil should be kept refrigerated and away from natural and artificial lighting. No additives, preservatives, antioxidants, or other foreign agents have been used or included in the manufacturing of this oil. Suitable for food and cosmetic use. Certified organic by OTCO. Pressed from the seeds of the beautiful Borage plant (Borago officinalis), Borage Seed Oil is known to be beneficial for both topical and internal applications. Borage Seed Oil has the highest concentration of gamma linolenic acid (GLA) naturally found, higher than in any other plant source! GLA is an Omega-6 fatty acid, an essential fatty acid. Omega-6 fatty acids cannot be produced in our bodies, but must be obtained from food sources. Essential Fatty Acids are necessary for brain function, regulation of metabolism, and for the growth and health of bones, hair, and skin. Since Borage Seed Oil is such an important source of gamma linolenic acid, it may prove to be invaluable for many different ailments and conditions. Nonetheless, it is undeniably beneficial for the entire body's health and well-being. To use Borage Seed Oil in your food preparations, mix it into the meal just before serving. This oil should not be heated, and must be used cold to take full advantage of its health benefits. For cosmetic applications, either apply directly, or add to your recipe after all heating has taken place. If you are currently on medication, speak to your healthcare provider before using Borage Seed Oil, as potential interactions or side effects may occur. Borage Seed Oil should be avoided during pregnancy and nursing, as potential risks are unknown at this time. Borage Seed Oil should not be used in high doses or over a longer period of time without prior approval by a healthcare provider. This oil may cause loose stools, and possibly minor stomach complaints. Clean your hair without water! This natural "shampoo" powder absorbs oils in your hair and lets you go longer between washings. Mix together all ingredients and transfer to a powdered sugar shaker (or container of choice). Simply sprinkle a small amount onto hair and gently rub into the roots to absorb oils. Leave on hair for 5 minutes and then comb hair with a fine bristle brush or fine tooth comb to remove product. Can be used daily. **Works best on lighter hair colors, additional brushing may be necessary when used on dark colored hair. 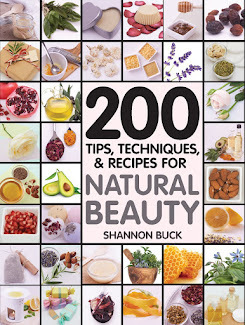 I use a lot of healthful oils made from nuts, fruits, veggies and seeds when I fashion my homespun beauty recipes. Here is a handy guide from Mountain Rose Herbs. Sweet Almond, Apricot Kernel, Soybean, Hazelnut, Jojoba, Jukui Nut, Olive, Safflower, Soybean and Sunflower. Sweet Almond, Apricot Kernel, Avocado, Borage, Camelina, Castor, Coconut, Evening Primrose, Grapeseed, Hazelnut, Hemp Seed, Jojoba, Jukui Nut, Macadamia Nut, Meadowfoam, Neem, Olive, Palm Fruit, Palm Kernel, Pomegranate Seed, Pumpkin Seed, Rosehip, Safflower, Sea Buckthorn, Sesame, Shea Nut, Soybean, Sunflower, Tamanu, and Wheat Germ. You will find all of the oils listed above for purchase at Mountain Rose Herbs. Add all ingredients into a container and shake well to blend. Pour over shampooed hair and massage into hair and scalp. Allow elixir to remain on scalp until hair has dried. You can either style as usual or shampoo if desired. Notes- This particular oil should be kept refrigerated to help prolong shelf life. No additives, preservatives, antioxidants, or other foreign agents have been used or included in the manufacturing of this oil. A true cold pressed oil from certified organically grown Evening Primrose seeds. Suitable for food and cosmetic use, however bloating or abdominal upset may occur from the excessive use of Evening Primrose Seed Oil internally. Evening Primrose Seed Oil is pressed the seeds of the Evening Primrose plant, Oenothera biennis . The yellow flowers only open in the evening, hence their common name. Evening Primrose is a common wildflower found in North America, Europe, and parts of Asia . This plant was used by Native Americans and early settlers as a nutritional support and to treat against conditions such as sore throats, stomachaches, hemorrhoids, and bruises. Evening Primrose has also been used medicinally in Europe since the seventeenth century. Over the last 20 years, this oil has once again become popular for its medicinal properties, and is now a common dietary supplement. • Premenstrual symptoms: menstrual cramps and breast tenderness. • Numbness or tingling in hands, feet, or legs. For cosmetic use, simply add it once that the product no longer needs to be heated. Evening Primrose Seed Oil should not be heated. This valuable information is from the Mountain Rose Herbs website. Notes- Stores well under any condition but extreme heat will lessen the shelf life. Because of the cold pressed and unrefined variety that we offer, this organic Apricot kernel oil is considerably darker in color and richer in scent when compared to what is currently being offered on the market. Recommended for cosmetic use only. Superb! Softens and protects skin without leaving an oily residue. Key ingredient in massage oils, soaps and body care recipes. 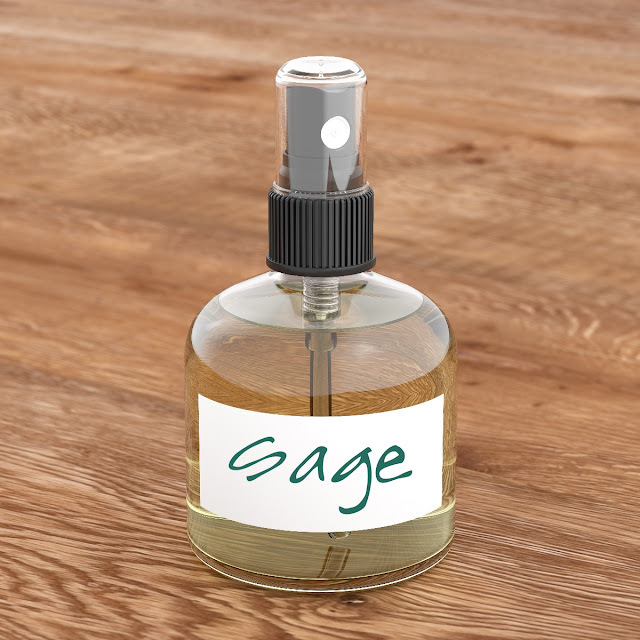 You can find this and other fine carrier oils at Mountain Rose Herbs. Mix all ingredients in a small bowl and apply evenly to face and throat. Allow to dry for about 30 minutes. Rinse off with warm water and apply moisturizer. Makes a single treatment which must be used the same day it is made. You can find Palmarosa essential oil at Mountain Rose Herbs. Notes- Keeps well when stored properly (in a cool place (under 77 degrees F) and away from sunlight). The type of Argan oil carried by Mountain Rose Herbs is recommended for cosmetic use only. Wonderful for use in lotion and cream formulations, or used alone. It is super imperative to make sure that all of the surfaces in your kitchen are spotless and sanitized before you begin crafting beauty products. You need to carefully clean counters, utensils, pans, containers, lids, hands-just about the whole kit and caboodle. If you don’t do a decent job at making sure everything is hygienic, you run a very high risk that destructive germs, bacteria and mold will start to grow in your finished product. You don’t want to get a skin infection from a contaminated product. 1. I soak all my utensils and containers for 30 minutes in a solution of 1 tablespoon of bleach and 1 gallon of fresh water. I allow them to air dry on a clean dish towel. 2. I have a spray bottle filled with regular alcohol that I use to mist down my countertops and other surfaces. I keep the spray bottle nearby during the crafting process to spray my hands, utensils, and other things I touch. 3. Before I begin, I always wash my hands with a tea tree oil and grapefruit seed extract infused hand soap and use a nail brush to scrub under my nails. Clean hands are super important!